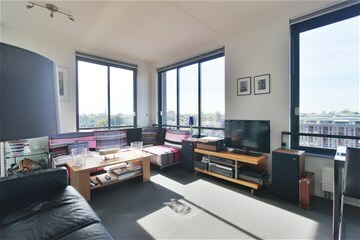 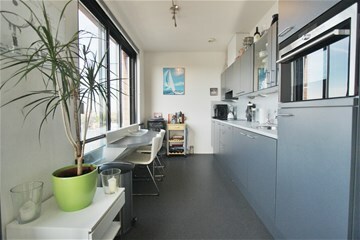 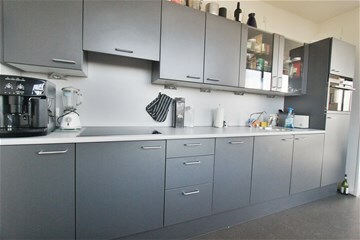 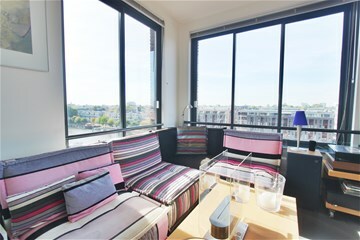 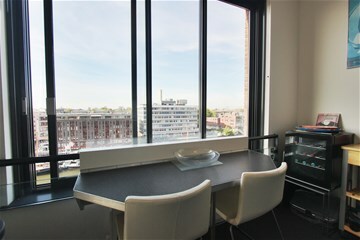 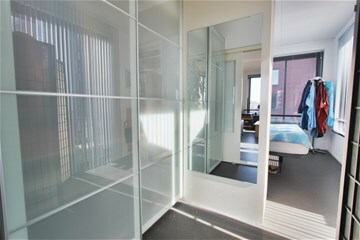 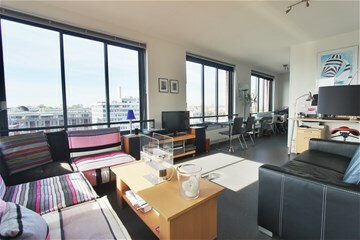 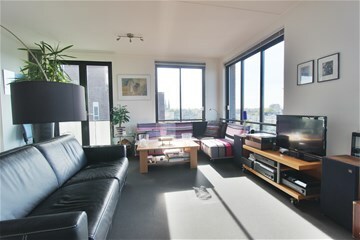 Modern light and bright 1 bedroom- fully furnished apartment of approx. 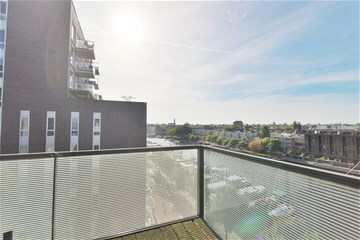 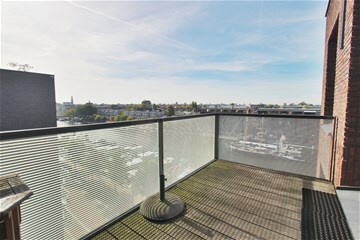 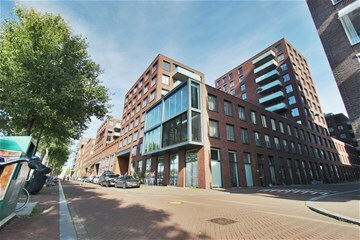 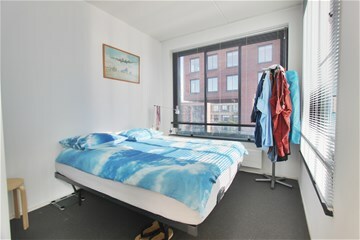 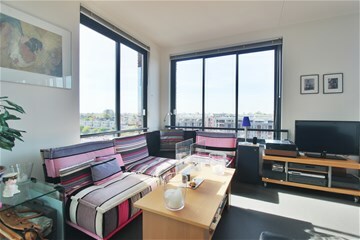 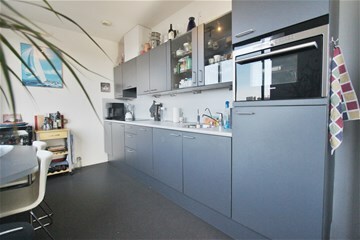 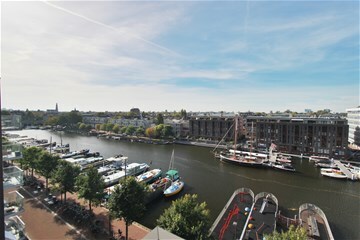 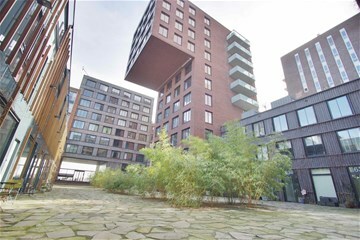 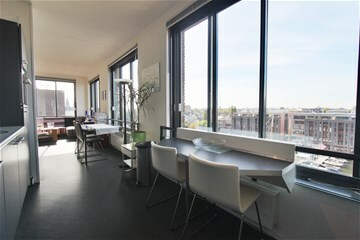 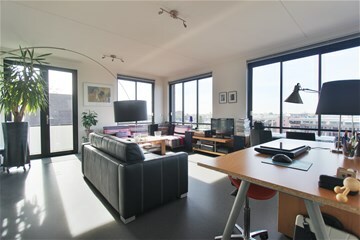 70m2 at the top floor of contemporary building- in the center of Amsterdam, overlooking the 'small harbor' from Westerdok. 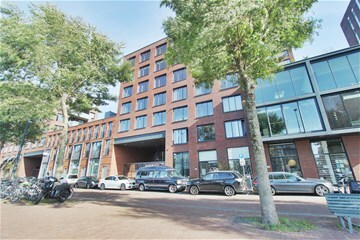 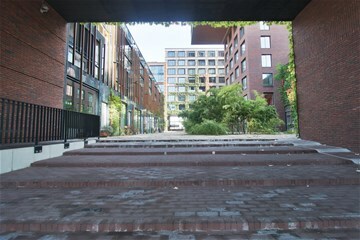 Within walking distance to Central Station of Amsterdam and excellent public transport facilities as well as a Gym/Fitness, cafés/restaurants, shops and supermarkets. 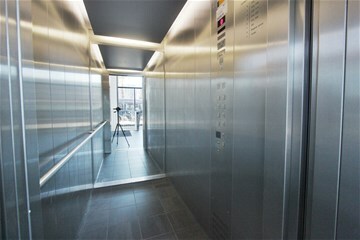 Communal secured entrance with elevator towards apartment on 6th floor. 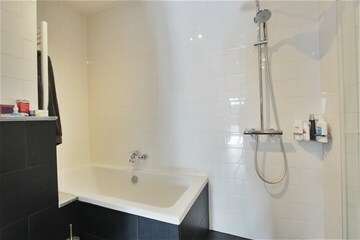 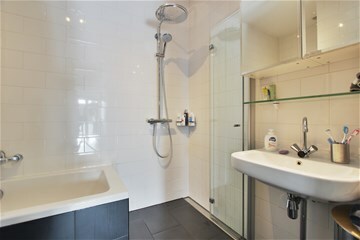 Hall with access towards utility room and modern bathroom with bath, shower, toilet and hand washbasin. 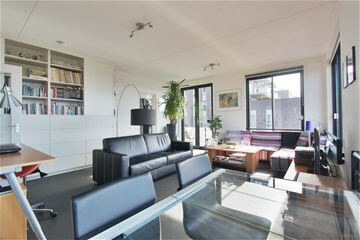 Light and Bright living room in the front with several windows overlooking the Westerdok- truly unique, with its small harbor. 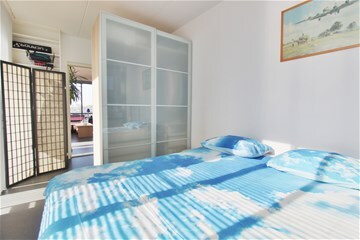 Master bedroom in the rear, with wardrobe.